A wooden fence can be a very stylish way to decorate the surroundings of your home. It adds a finishing touch to your home. However if not taken care of properly, wooden fences can be vulnerable to seasonal changes and can rot away with time. Wood is the kind of material that requires extensive care, and the sun, rain and cold can easily damage wooden objects. Therefore, wooden fence repair needs to be taken seriously if you want to ensure a long lifespan for your fence. 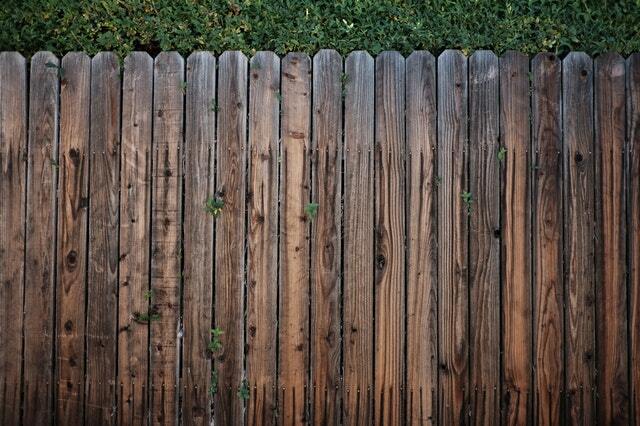 The best way to make a faded out, dull looking wooden fence look new again is to get it stained. The process of getting a wooden fence is easy to do, and you can do it yourself. If the fence has become older and moldy, then it will require being washed before it is stained. The reason why staining is preferable over the wooden fence being painted is that stains can penetrate wood and in the long run this would mean fewer maintenance costs being incurred. The fence needs to be completely dry to start the procedure, and the weather should not be extremely cold or rainy because moisture or a rainy day can ruin the staining process. The fence will require two to three completely dry and sunny days for the staining process to sink in completely. You can choose to test out the color of your stain on a spare piece of scrap wood, and it is recommended to select an oil-based stain instead of a water-based stain because it lasts longer and does not subject the fence to wear and tear. Apart from the stain itself, you will require sandpaper to ensure that the wood is dry and smooth before beginning the staining process. You will also need a staining brush and rough-surfaced paint roller. An ordinary paintbrush or paint roller will get ruined by the stains too early in the process. Pressure washing a fence is again something that anyone can manage to do easily, and it can help in making an old moldy fence presentable and good as new. All you need to do is take a quarter cup of bleach and a quarter cup of laundry detergent per every gallon of water in your pressure washer. This will create a personalized, home-made cleaning solution for you which won’t be heavy on the pocket as well. The other thing to remember is that the narrower the tip of the pressure washer will be, the more focused pressured the water spray it will create, so try to choose a thin spray tip for your fence washing. This will take a longer time but will eventually lead to the best results. Since wood is a sensitive material, it is best to not choose an aggressive pressure washer but a mild one. If over the period of a few years the part of the fence which is underground becomes loose and moves the fence around a bit. It needs to be reinforced, by removing the rotten part from underground and replacing with a concrete spur. This job is technical, and it is recommended that an expert is hired for this work. In most cases, if the rotten or damaged area is too much, the whole fence would need to be replaced. You can contact a repairing company or someone who is an expert you know well to get the reinforcement done for your fence. Wooden fences require a great degree of tender, loving care as compared to other parts of a home. Keep an eye out for stormy or cold weather that can leave the fence with loose boards or broken pieces. When the storm has passed, and the fence is dry, any broken or damaged pieces can be glued back together using long-lasting, waterproof glue. You can also choose to firmly tape the broken pieces together on the fence. To tighten boards that have become loose, it is suggested to use stainless steel screws to tighten it all up. These small maintenance tips and care of the fence will make it last longer during harsh weather situations, and it will have a better lifespan.